Get out your cameras - it's time for some photos with SANTA CLAUS! 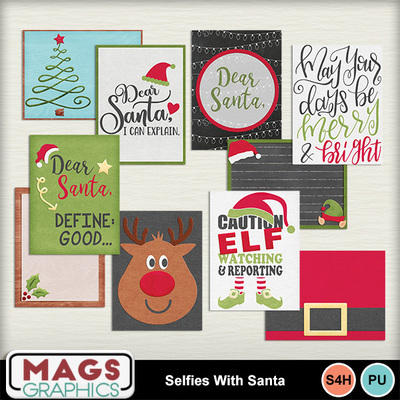 This bright and fun collection is packed with holiday cheer! This is the JOURNAL CARDS Pack. It contains 10 3"x4" Journal Cards.